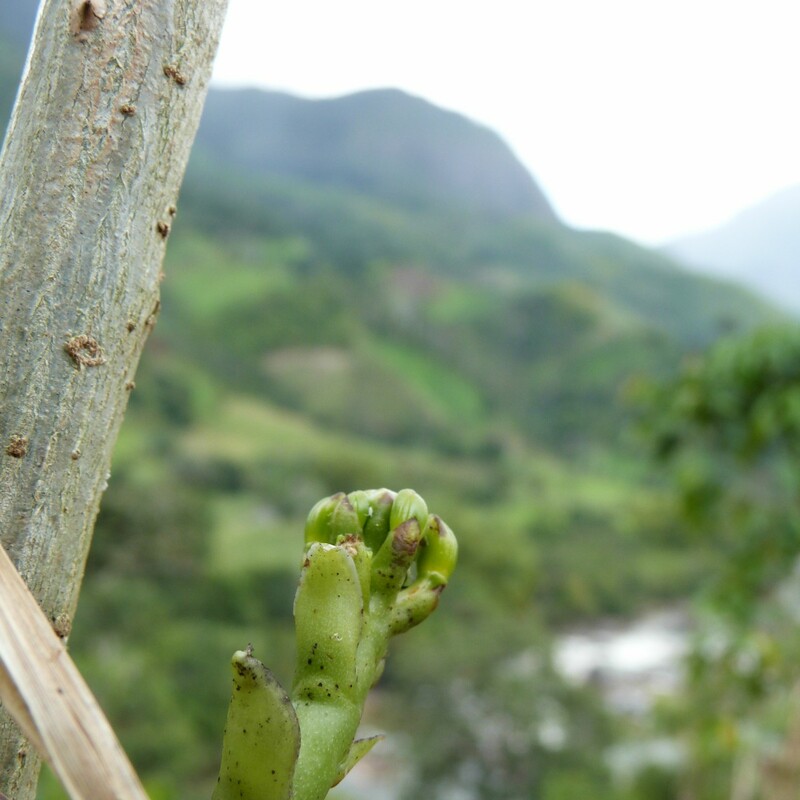 Everything you need to know about Vanilla> How do Vanilla plants grow ? 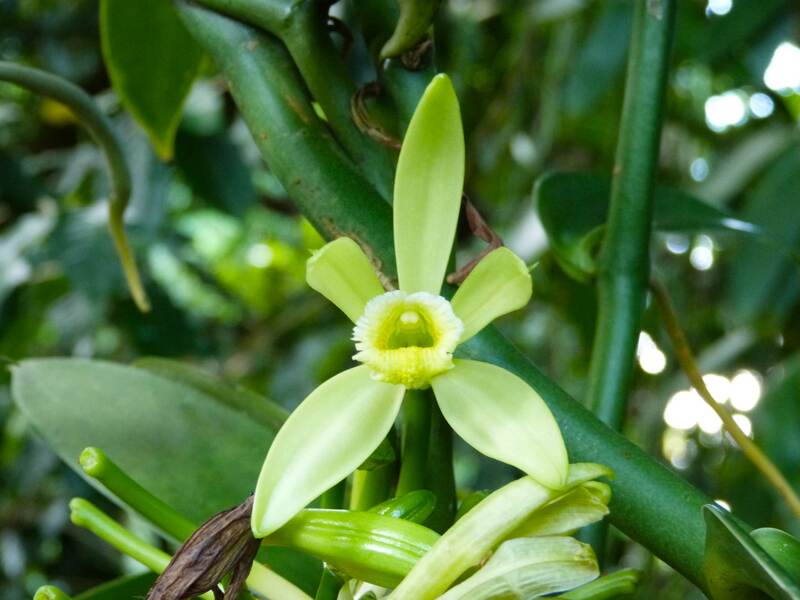 Home > Everything you need to know about Vanilla> How do Vanilla plants grow ? 1. How do Vanilla plants grow ? Vanilla plants need high temperatures (around 25°C/77°F), humidity and an organic matter rich soil to flourish. 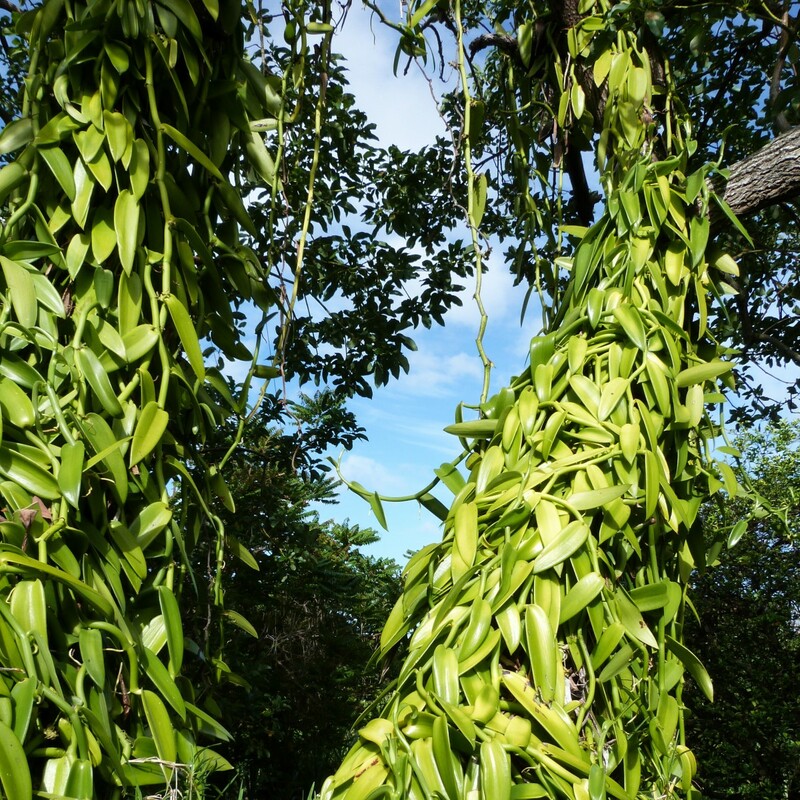 This is why Vanilla plants can be mainly found in tropical and equatorial areas. Humus can help grow stronger plants. Vanilla vines need props to grow properly. Usually, producers use Australian pine tree or song of India as stakes. The 1m50 long vanilla cuttings will use them to intertwine and flourish, reinforced by the adventitious roots clinging to the prop and tapping its humidity. Its roots will find nutrients in the soil. Other plants need to be grown in parallel in order to shade the Vanilla plants which are sensitive to direct sunlight. We usually use banana trees, palm trees or exotic plants. All of these will help stabilise the ground. They usually happen after 3 years of growing. When flowering season starts, some shading can be removed in order to create a thermal stress. Said thermal stress will help accelerate blooming. An aquatic stress is know to lead to early blossomings. 3. 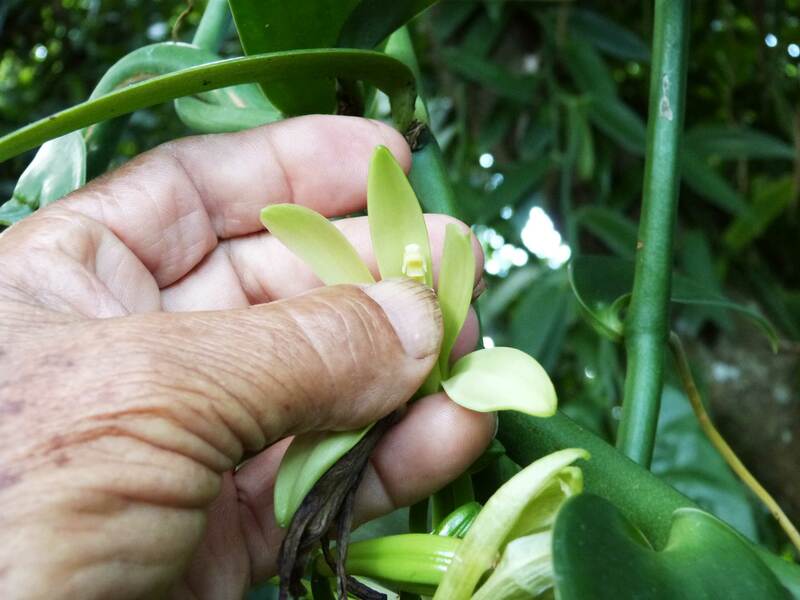 How to pollinate a Vanilla flower ? Hold the flower with your left hand, its corolla resting on one of your fingers. Then you rip the labella open with a lemon tree or orange tree thorn. Using the thorn, you'll ned to slowly and gently lift the rostellum (stigma that separates the female gynoecium) and hide it under the anther (the pollen-bearing part of the stamen of a flower). Finally, you make them comme in contact by pressing on it with your thumb. Usually, women are in charge of this process. They're called "matchmakers" as they create male-female connection between the reproductive parts of the flowers. A well-trained matchmaker can pollinate over 1500 Vanilla flowers a day! The vanilla bean will reach its adult size after two months. It will be ripe after 8 to 9 months. After harvesting ripe Vanilla beans, most producers use the Bourbon maturing process.